So you’ve been invited to a whisky tasting but don’t know where to start. Are you actually supposed to drink it? Did you eat enough food? Do you taste whiskey like you taste wine? Well, there’s no need to panic, because we feel your pain, and we’re here to help. 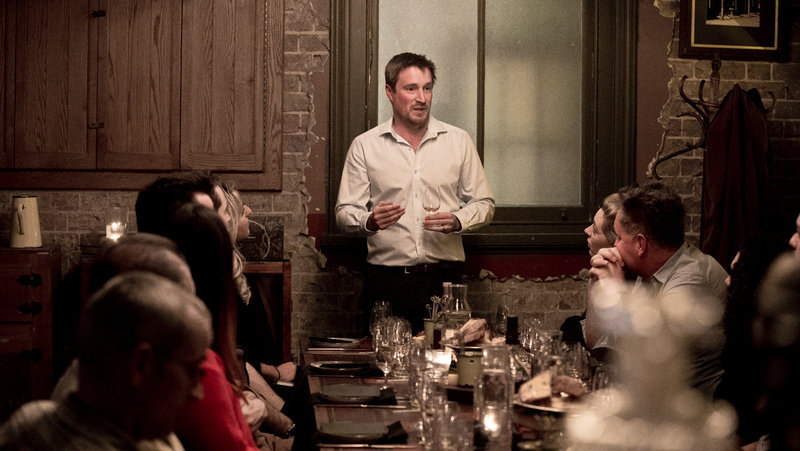 The leader of our whiskey tasting classes Rowan Prangley, from True North Spirits has put together some tips for you. Here’s how to get started. The type of glass you use will make a big difference to your whisky experience. It’s best to use a spirits nosing glass (shaped like a tulip), as the narrow opening helps channel and concentrate the aromas of the whisky, triggering your senses. Although this type of glass is called a snifter, a stemmed red wine glass or brandy glass will also do the trick. This is your sensory experience with the whisky before you even taste it. As whisky has been sealed in a cask or bottle, swirling it around for a short time will allow evaporation and oxygen to reach the liquid. This will give it time to express itself, so that your initial sensations are not full of alcohol. The next step is putting your nose to the glass and letting the aromas ignite your sense of smell. Don’t be afraid to seat your nose deep into the glass. Remember to breathe through the nose gently and move the glass from one nostril to the next. Repeating this three or four times will help you identify the whisky’s undertone textures, whether it be fresh, heavy, rich, fruity, floral, spicy or smoky. Each sniff will reveal more elements that will help you predict the taste of the whisky. Be sure to nose the whisky a minimum of four times so you become use to the alcohol vapours in the glass. The flavour of the whisky on your palate is the most rewarding and enjoyable part! It’s important to take the time to savour the taste to get maximum flavour and benefit. The various parts of the tongue and mouth respond differently to flavours and their stimuli, so a full mouth-coating experience will ensure maximum effect. Try to move past the alcoholic burn upon swallowing, as only after this will the numerous flavours of the whisky reveal themselves. Identifying new flavours with each sip is a subtle yet complex process. Remember to sip and move the whisky over the top of your tongue and underneath it, coating your palate and teeth. And don’t forget the flavours you previously nosed, as with whisky what you nose is what you taste. The finish is the aftertaste that comes when the whisky has been swallowed. This stage is what differentiates the whisky from all other spirits, especially because of the array of flavours that make an appearance. The list can be extensive, but trying to relate the flavours and sensations to what you have tasted in the past is the fun part. Also, ask yourself whether the flavours remain for a short, medium or long time. This is called the length of finish. It really is all down to personal taste. Always try whisky in its natural state first, before adding drops of water. Water agitates the flavour molecules and changes the alcohol to water relationship. For whiskies of high alcohol levels or cask strength, water can help release and lift further aromas from the spirit, making it easier on the palate. Ice is different as it drops the temperature of the whisky, reducing it’s aromatic intensity. 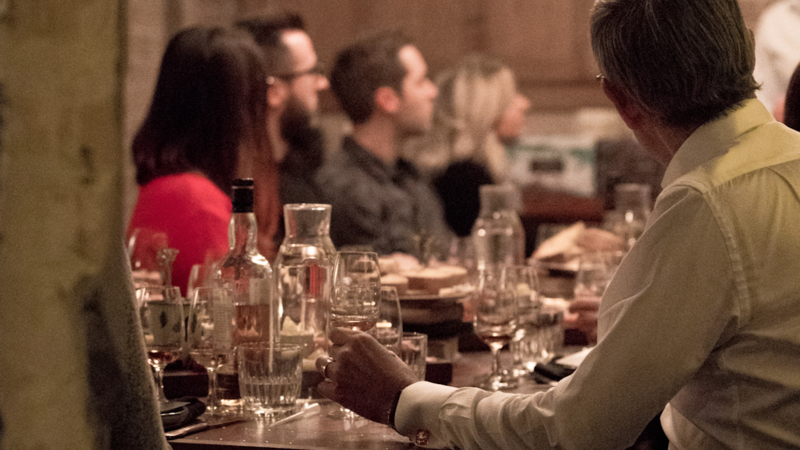 When starting down the path of whisky appreciation, one of the best ways to experience the differences in flavour and aroma is to invite a few friends over and share the spirit in good company. 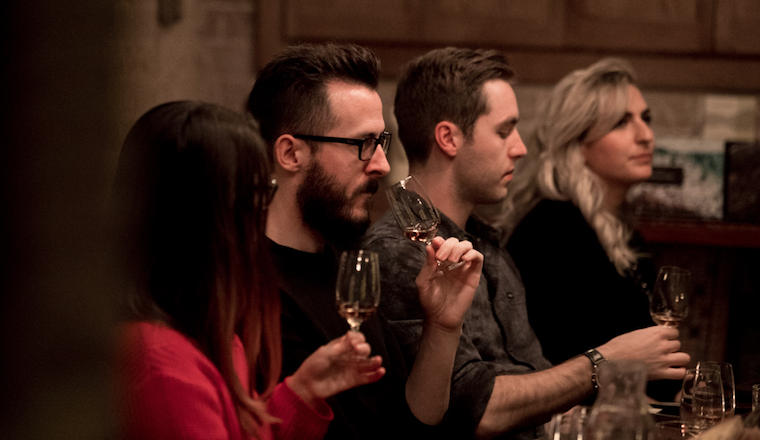 Perceptions of smell, taste and even intensity can be different from one person to the next but one thing is certain, starting a conversation is the best way to engage and quickly learn more about a whiskey. We’re holding whisky tasting classes at The Grounds and you can book here.